Located in Redmond, Washington - Tatka Home is a full-service Interior Design Firm serving the Pacific Northwest. From the Designer: "I always thought the concept of “find something you love to do, and you'll never work a day in your life was sort of corny, until I discovered my passion. I am very lucky to have found what makes me giggly with happiness. When people ask me what I want to do when I retire, I say that I will NEVER retire. My last day on this Earth will be spent in some fabulous design presentation!" Besides the natural inclination and aptitude in everything design and style, Tatiana graduated with the B.F.A. in Interior Architecture and Design from a CIDA-accredited Academy of Art University in San Francisco and is now the co-president of the Washington NWSID chapter. Diggs & Dwellings offers an eclectic mix of stylish, unique home furnishings. You will find endless possibilities for decorating your home – from living, dining, and bedroom furniture, to accessories, lighting and more. Whether you prefer modern lines or have a traditional flare, our design team will help you find custom solutions that fit your personal style. When the warehouse opened, Sandy, owner of Diggs & Dwellings, finally realized her dream of having a business that would combine her experience as an interior designer with her love for shopping, design, color, and materials. Having taken time off to raise her three kids, one of Sandy’s main goals continues to be finding a balance between family and work life. At the same time, we hope our SWEET PRICES allow our customers the opportunity to furnish their homes with quality furniture so that they may have the luxury to do what they love! Stop by today and ask about our Complimentary In-Home Design Consultation or check us out on Facebook to see how people are dressing their Diggs! We look forward to meeting you at our Diggs! 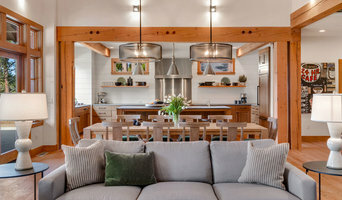 What An Interior Matter offers our clients and why we are the designer you need: --Experience: We have been designing homes for years now and have seen trends come and go. We believe there is no 'one size/style fits all' when it comes to interior design. We want nothing more than for each of our clients to have a space that is uniquely their own and that they absolutely love! --Contacts: We have connections in the industry. When there is need of additional contractor services we know people. We also have our finger on the pulse of all the best places to find the perfect furniture and design accessories. --Versatility: Our 'style' is your style. We specialize in interpreting who you are into a 'design story', rewriting your home so it conveys the message you want to send, and prefer to design with purpose, intent and function in mind. We love to think outside the box and rarely adhere to 'on trend' rules. --Savings: We save you time, effort, and cost. As designers, our job is to do the work and, as the client, your job is to reap the rewards. --Knowledge: We know all the tips and tricks of interior design. We know what works and what won't and have the ability to visualize the design completely before anything is ever purchased. We are experienced in color psychology and how it impacts the perceived feeling of a space. --Uniqueness: We strive to never leave a home feeling like it was just plucked from a showroom floor. Instead, we want the space to be a well-designed area in which you can breathe, rest, and relax. --Award Winning Customer Service: We are proud to have been awarded the Best of Houzz Customer Service award several times now. An Interior Matter strives to provide our clients the best customer service, professionalism, honesty and integrity in all our business practices. Call or email us today for an appointment. We look forward to collaborating with you. The Accent Wall is comprised of an impressive high-end Interior Design, Home Staging and Décor services in affordable price. The creation of elegant, stylish and comfortable homes is our passion. We offer an exclusive, yet very personal service. The Accent Wall and team create a seamless journey from concept through to completion, always aiming to exceed expectations. 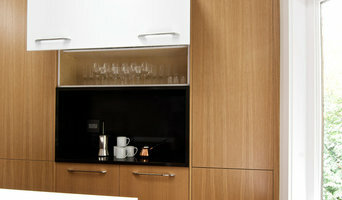 Each design is individually tailored to deliver creative, beautiful solutions for the way you want to live. Our designer combines exacting standards with a warmth and informality which makes the whole process enjoyable and rewarding. Marcella Diamond of Diamond Design has been working as a National and International Interior Designer for over 20 years. She received her education from UCLA's Extension for Interiors. She has worked on five of comedian Rita Rudners homes and one home for actor Emma Thompson. Marcella takes pride in the fact that her previous clients ask her to design several homes. In addition to residential spaces, Diamond Design also has done extensive work for commercial spaces. A good home design professional will hone your style down to its very essence and be able to choose a functional layout that feels natural to you. Interior design companies can be involved as much or as little as the client desires. Many clients who hire an interior decorator in Ames Lake, WA — particularly those who are remodeling — have a good sense of how the room should look and what products they should use. Often clients will insist that interior decorators use the products already present in the house. Other times a designer will need to start from scratch — especially if this is a newly purchased or just-built home. An interior design company will need to figure out exactly what the client needs, which includes organizing rooms, picking flooring and wall colors, and finding furniture to complement it all. Sometimes that means he or she will have to recruit help from other Ames Lake, WA home professionals to help create the perfect look for your renovation. Here are some related professionals and vendors to complement the work of interior decorators: . Do your research before meeting with an interior designer or home decorator in Ames Lake, WA. Ask yourself what you want your space to become and what it will be used for. Figure out the extent of what you need help with, what your must-haves are and what your budget is. Interior design services can add up fast, so be up front with a potential design firm or individual from the beginning. Also, pick an interior decorator that fits your style. Browse through the portfolios of different Ames Lake interior design firms and decide if you would live in those houses. Just because you like something doesn’t mean you could live in it. There's a big difference! Find an interior designer or home decorator in Ames Lake, WA on Houzz. 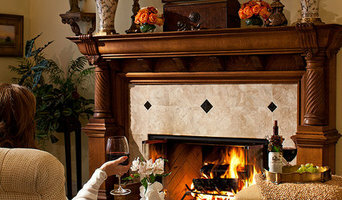 Narrow your search in the Professionals section to find Ames Lake interior designers near you. You can also look through Ames Lake, WA photos to find a room you like, then contact the design firm who designed it.